The Mother of God Church in Vettukad is also known as the Madre De Deus Church, and is one of the most important pilgrim and tourist destination in Kerala. The Vettukad Church has a history of around 500 years and is located in Thiruvananthapuram. The famous missionary, St. Francis Xavier is believed to have visited Vettukad for evangelization purposes in the 15th century. 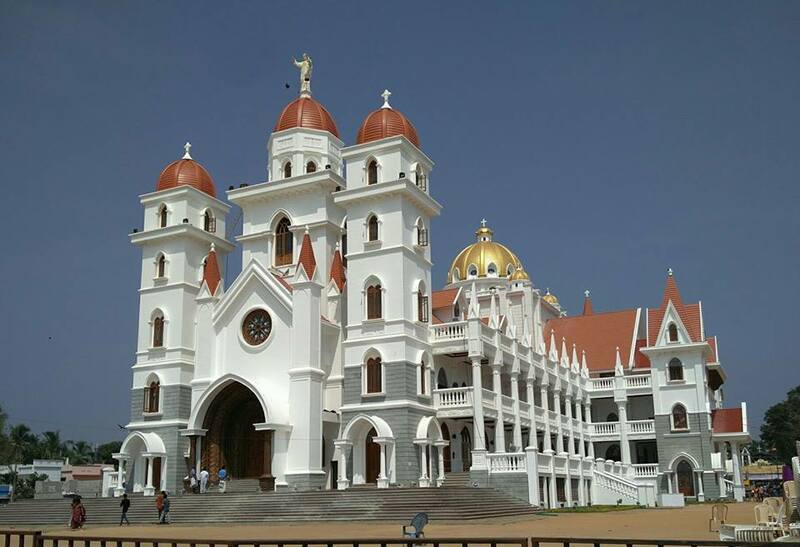 The Vettukad Church comes under the Latin catholic Arch Diocese of Trivandrum.. The Feast of Christ the King is one of the major celebrations of this Christian pilgrimage destination and people from different places visit the Church to attend the annual feast which comes in the month of November. The Church is also famous for the Holy Statue of Christ the King, which was sculpted by the Chamabakulam carpenters. The Chamabakulam carpenters were the most renowned religious artists of Kerala and they made the statue from a famous picture of the Blessed Christ the King that was recieved from Rome. The statue is well know for its amazing architecture and also serves a source of miraculous healing. Vettukad is an emerging tourist place in Kerala and for those who are interested in religious and spiritual tours, this place can be a best option. Since there are many important travel destinations in and around Thiruvananthapuram, Vettukad church is an ideal place for those with a spiritual inclination. Vettukad Church is very well accessible from different parts of Kerala as it is well connected through road, rail and road. The Trivandrum International Airport is just 3 kilometers away and the nearest railway station is also at a distance of 7 kilometers. Vettukad Church is surrounded with some of the best tourist places that are unique in its charm and beauty. Some of the major tourist spots around Vettukad Church are given below. So once you have completed your prayers and offerings at this historic Church in Kerala, you will be left with plenty options to visit some of the best tourist attractions and locations of Thiruvananthapuram.